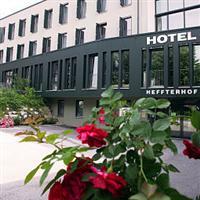 With its central location, Hotel Heffterhof is within easy reach of most tourist attractions and business addresses in Salzburg. All hotel's guestrooms have all the conveniences expected in a hotel in its class to suit guests' utmost comforts. The guestrooms are equipped with non smoking rooms, daily newspaper, desk, hair dryer, ironing board, shower, mini bar. Hotel facilities offered at this Salzburg accommodation include elevator, bar/pub, meeting facilities , restaurant, safety deposit boxes, disabled facilities. Hotel's guests can experience on-site latest leisure and sports facilities such as garden. With elegant facilities and hospitality, guests at this hotel will surely have an impressive stay. To book a room easily at the Hotel Heffterhof, please submit your travel dates and proceed with our secure online booking form.